Updated on September 26, 2018 – Are you daunted by the Holiday season? Or the planning of your next summer vacation? Trust me, most people are. But does it really have to be that way? No! The Holiday season and summer vacations should be about spending pleasant quality time together, as a family. Creating wonderful memories together. Getting inspired by dreamy and divine moments, that builds up a portfolio of lovely mental pictures that will carry us through the next year to come. How do we get those precious moments? How do we achieve this monumental family bonding experience? Since I really care about you, let me tell you the secret behind the most rewarding family Holiday season: traveling together. What? Traveling is exhausting, you might say. Well, it doesn’t have to be! Taking your loved ones to the next horizon, creating epic adventures, escaping to a blissful getaway… Yes, the Holiday season can be enjoyable! To make things easy and simple, like I always like to do, I put up this quick and easy guide to the ultimate cheapest family Holiday travel. 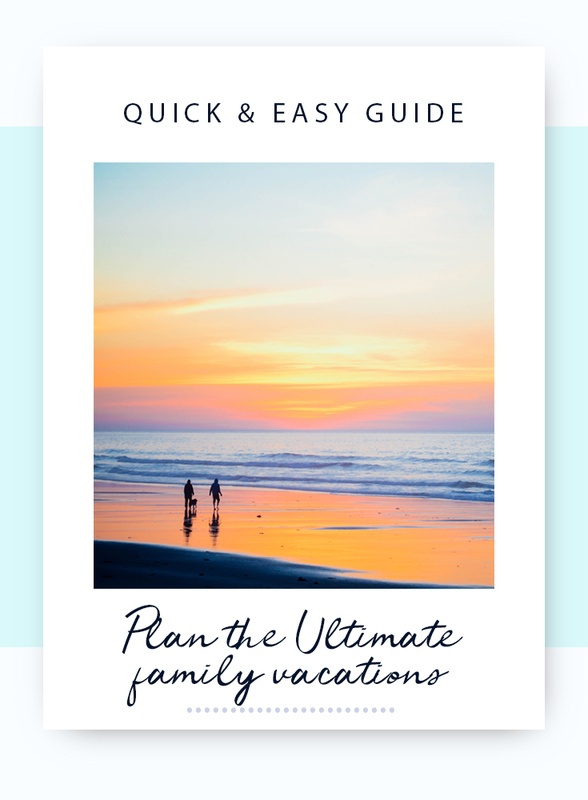 Whether you are a young family, a family with teenagers, a blended family, a single parent family, or you want to travel with the grandparents and the extended family, this quick and easy guide is for you! First, let me tell you when to start planning your ultimate cheapest family Holiday travel. I could even say that September is the best month to book your Holiday flights and accommodation. Why? For 2 reasons. First, inexpensive flights you can find in September will start to get more and more expensive the closer we get to the Holiday weeks. Second, besides booking your flights at the best price, you have a lot more choices when it comes to itineraries, layovers and seat options. As we get closer to the Holidays, the best itineraries with good connection times start to fill up. You might still be able to get that great itinerary in November or even December, but you’ll pay a lot more for it as seats on that flight sell out. So start looking at flights in September. 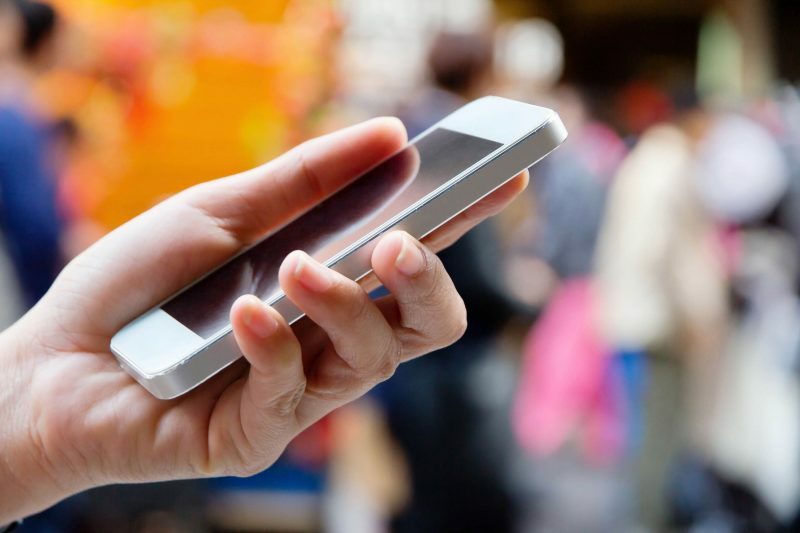 When you find a good fare, be ready to buy right away. There’s often only a handful of seats available at the best rates and they sold out very quickly. Here are 10 tips on how to get the best and cheapest airfare for the Holiday season. If you want to travel for at least a week, travel Tuesday to Tuesday, instead of the weekend. Airfare is usually a lot cheaper for midweek flights. Traveling on the Holiday itself is another way to get the best airfare deals. 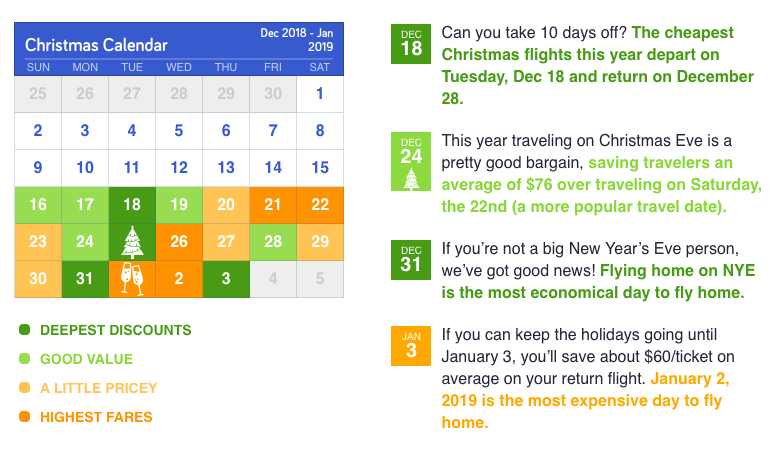 So December 25 is one of the best day to travel for cheap. Avoid January 1st and 2: this is one of the most expensive days to travel. If you can stretch your travel just a bit beyond January 3, then you will get cheap airfare. Check alternate airports. Living in Montreal? Check out Burlington and Plattsburg’s airports too! Afraid to get bad weather and get delayed? Pick the first flight of the day! That flight is less likely to be bumped since there’s no build up delays yet. Airlines are watching you! Always searching for a specific destination, on specific dates? Airlines are inflating their prices because they know you really want to buy. The solution: search for airfare in private using incognito mode in your browser. The latest hack in finding the very best airfare deal: book a flight where you will get off at the layover rather than the final destination (called a ‘hidden city’). For example, you want to go to Panama? Buy a ticket to Costa Rica with Copa Airlines, and get off the plane in Panama City. How to find those incredible hacks? Skiplagged.com helps you find your best deal. Finally, when you search for your airfare, choose your destination’s currency, and buy your tickets in that currency. Sometimes there’s a good difference between the prices listed in $US or $CAD and your destination’s currency. To help you visualize when to travel for less, look at the calendar above! 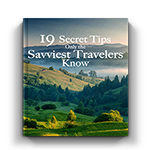 To learn more about how to get the cheapest airfare, read 8 Ways to Get the Cheapest Plane Tickets and The Brand New Way to Find the Very Best Airfare Deals. First, find out the Top 4 Websites to Find the Cheapest Plane Tickets. Then, look at this quick list of the websites I use to find the best airfare deals. Skiplagged.com to find the hidden city you want to travel to. Secretflying.com list most of the best deals available. Be careful though: the deals are amazing, but they don’t last. They are either error or dumping fares. So if you see one you like, don’t think twice, and don’t sleep on it. Buy! Nextdeparture.ca list amazing deals too, from Canadian cities. Again, don’t think twice when you see a deal! Momondo.com has a great estimated price chart to help you find the best days to fly. Kayak.com and FlighHub.com are also great with their flexible dates tools and price alerts too. Now that you know how to get the best and cheapest airfare deals for your Holiday travel, let’s take a look at ways to save money on accommodation as well. Accommodation is your second most important travel expense, so trying to save money makes sense if you don’t want your trip to cost a fortune. Because let’s face it: Holiday season is high season, everywhere. Why? Because everyone is on vacation. The crowds make the prices soar. If you can travel in the shoulder season, you will save tons of money. But I guess you don’t have a choice, or you really want to get away from the Holiday madness at home. Here are 7 tips on how to save tons of money on accommodation for your ultimate cheapest family Holiday travel. Again, booking far in advance is one of the best ways to save on accommodation. I like to book on TripAdvisor.com, because not only will I know which hotel has the best reviews, but I will also get the best rate available. Check multiple sites before you book: the hotel’s website and at least 2 hotel booking sites (TripAdvisor.com and Booking.com or else). If you want to get the best room in the hotel, book with the hotel directly or through their website, because the staff gives the rooms with the best views and quieter locations to these clients. Book refundable rooms, because you could find a better or cheaper hotel later. Look at extra fees. Some hotels or resort charges a daily extra fee for parking or to use the resort facilities. When booking a hotel for a family of 4, 5, or 6, then booking two hotel rooms will often be cheaper than booking one large family room. The catch is that when you book two hotel rooms, hotels usually won’t guarantee that they will be beside each other – so if you do find a large family suite at a good rate that’s often the best choice. Now, what happens if hotel rooms are too expensive for you? Here are 6 other options for your accommodation. Home exchange: This is your best option if you want free accommodation, and you will get all the same amenities you have back home. Holiday Swap is a great place to find stunning houses to swap with! Renting an apartment or a house through Airbnb or HomeAway (or else). You can then save even more by cooking your own meals and even cleaning your clothes, which can be very handy when traveling with kids! Camping! 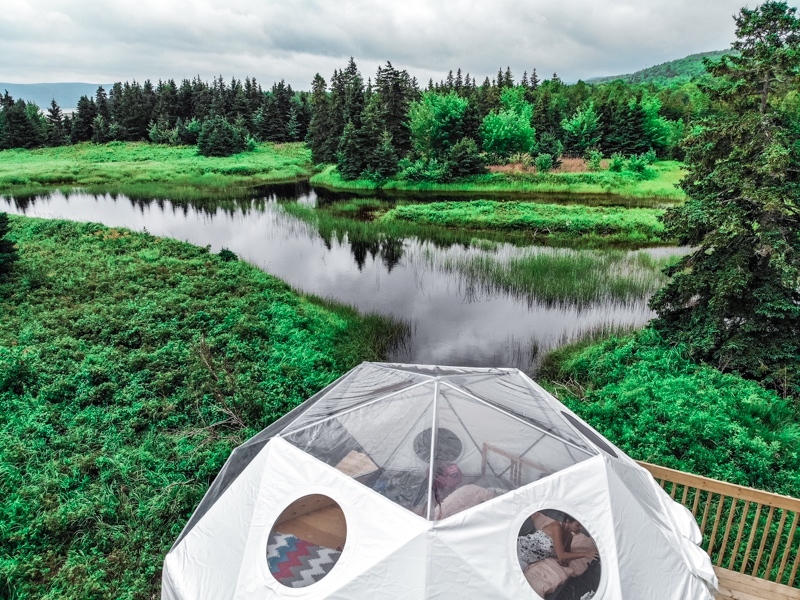 If traveling to a sunny destination, why not rent a tent at a campsite and try camping? This will be an amazing experience for the little ones and teenagers. Hostels: A lot of hostels have family rooms that offer the basic necessities like beds, AC and en-suite bathroom. You might not have your own TV, but your teenagers will get the opportunity to make new friends with other travelers! Renting an RV will bring your road trip to the next level! A cruise might not be your cheapest option, but you will be able to visit multiple countries at a lower cost. Also, all the family can find great entertainment on board (pools, water slides, arcades, golf, tennis, spa, etc. ), depending on the cruise ship and cruise line. 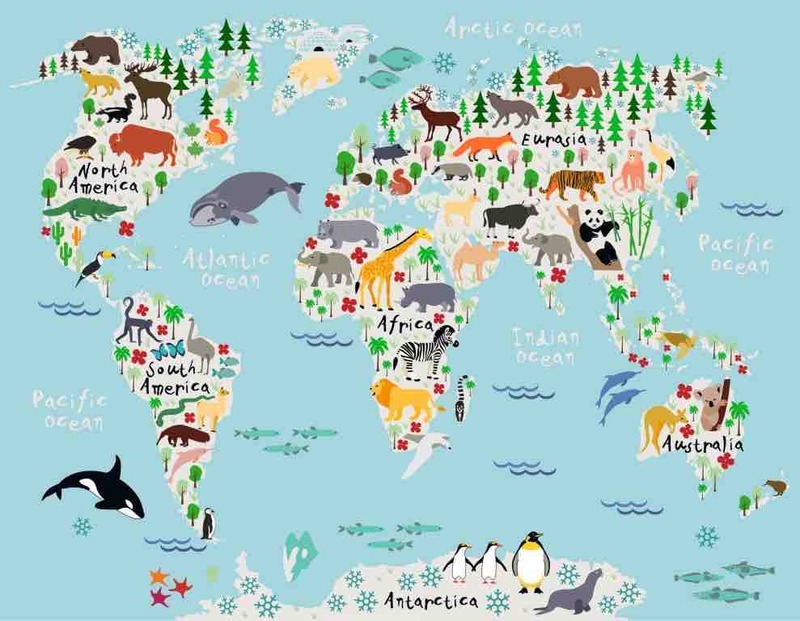 But where on Earth should you travel? You will agree with me that everyone wants something different when traveling. The goal for you and your family, is to make everyone happy, right? Yes, all family members should be able to do at least 1 or 2 activities they really enjoy. In fact, the best way to achieve that is to alternate. Let’s say dad wants to play golf, mom wants to get a massage and the kids want to play at the beach. So on one given day, dad plays golf in the morning, while mom plays at the beach with the kids. In the afternoon mom gets her massage, dad plays with the kids, and during the evening all family members enjoy a good meal together. Don’t want to separate? Let’s alternate activities, together. Do you travel with young kids? Why not discover a zoo in the morning, and visit a museum while the little one sleeps in the stroller in the afternoon. Traveling with your opinionated teenagers? Let them try surfing and play volleyball, while mom reads a book on the beach and dad drinks a cold beer and swim in the big waves. So how to choose the best destination for all family members? A lot of options are available for a Holiday trip. Try our Travel Destination Finder to choose your best destination for your Holiday travel, according to your interest and your budget! A quick rule of thumb is to choose a destination that will take as long to get there that you will stay there. For example, if you want a 7-day trip, choose a destination that will take you a maximum of 7 hours to get there. Otherwise, your travel time will make your trip more exhausting than fun! Also, take into consideration the time difference. Let’s say I want to visit France, and it only takes 6 hours to get there, but the time difference will take you 3 days to recover and fully enjoy your days. You might want to postpone your trip when you’ll have more time on your hand. Step 3: Pick a destination! You probably have a bucket list, so you can pick a destination in your list that match your criteria. If you are hesitating, you can narrow down your options or discover new destinations by trying out our Travel Destination Finder. Or you can look at a map, and pick a destination! But to help you even more (because like I said earlier, I care about you! ), here are the best destinations for family Holiday travel. 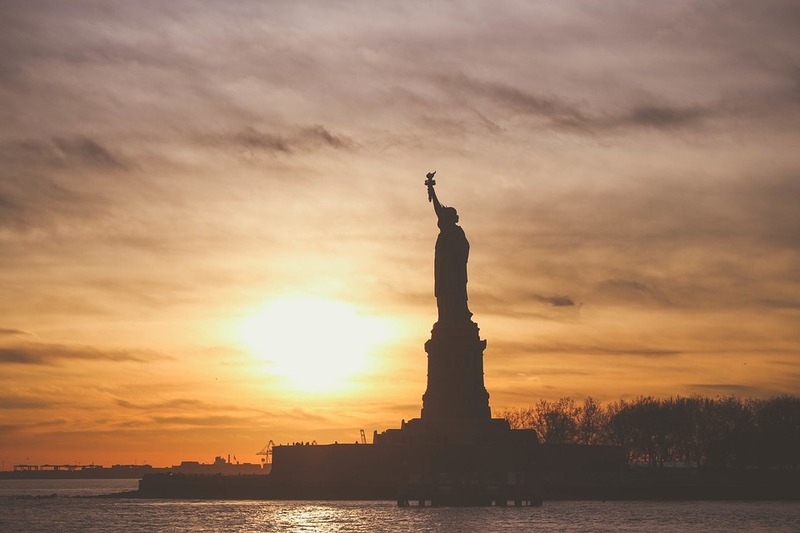 You will find here the best destinations that are close enough to the USA and Canada, so the length of your trip and time difference won’t be an issue (unless you are very sensitive to jet lag, then forget about Europe). 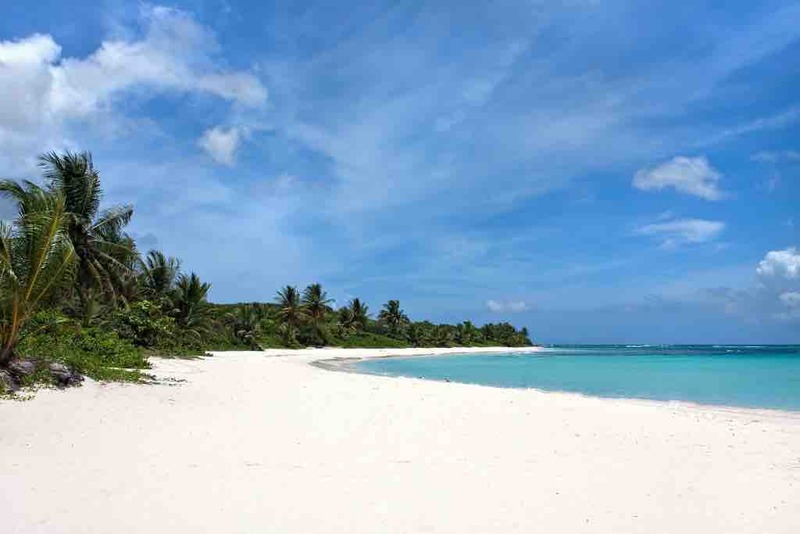 Caribbean Islands: You have a lot of options in the Caribbean! If you really want warm sea water and weather, I wouldn’t choose the Bahamas and Bermuda, because the water is still a little bit cold to swim. To choose the best island for you, take a look at my Quick and Easy Guide to the Best Caribbean Islands. Costa Rica: Playa Manuel Antonio, Nosara Beach and Playa Santa Teresa are the 3 best beaches in Costa Rica for families and kids all ages. Mexico: The beaches of Cancun, Playa del Carmen and Tulum are simply exquisite, with turquoise clear water and white powdery sand. Honduras: The island of Roatan is a sure hit when it comes to crystal clear water and powdery white sand beaches. You can also find a nice stretch of sand on Tela Bay, on the North Coast of Honduras. Nicaragua: San Juan del Sur is the most popular beach in Nicaragua. The beach is uniquely located in a superb crescent-shaped bay. Argentina: Mar del Plata is a great destination with a lively coastal town and the place to be if you’re looking for an exciting beach vacation. And there’s Pinamar, a popular family beach that’s only a three hour drive from Buenos Aires. 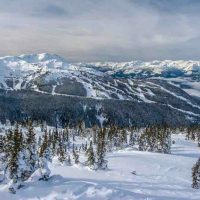 Canada: If you want epic ski and snowboard mountains, Whistler Blackcomb (British Columbia), Sun Peaks (near Kamloops, British Columbia) and Banff/Lake Louise (Alberta) are your top options. If the mountains aren’t your thing, winter trekking, dog-sledding and tubing will make your stay fabulous. USA: Why travel abroad when you have amazing options at home? 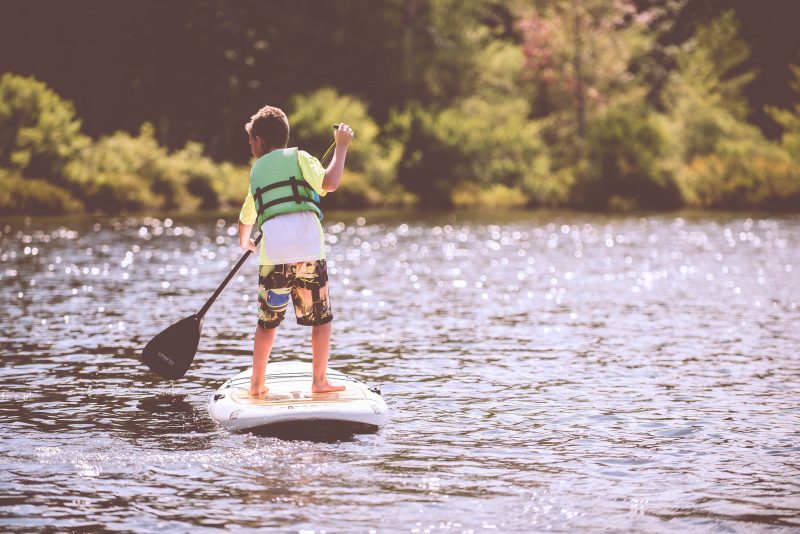 Jackson Hole (Wyoming), Lake Tahoe (California and Nevada) and Salt Lake City (Utah) will blow your mind and will capture your teenager’s heart. There are 5 destinations in Europe that aren’t too cold to visit in December. In fact, it’s the perfect weather for people who can’t bear the heat. You can still play at the beach, but the water will most likely be too cold to swim. Portugal: Very friendly people, a lot of free things to do, cheap prices and the dazzling Algarve region will charm you and your family. Spain: You will find in Barcelona amazing food and drinks, lovely museums and a great vibe that will please every family member. Then head to the Mediterranean Coast to visit the White Villages and the famous Costa del Sol. France: The sunny (but pricey) French Riviera (Côte d’Azur) will make mom, dad, and the teens very happy, with excellent trekking, delicious food and impressive golf courses. 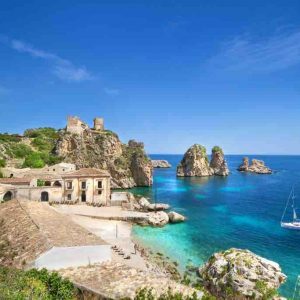 Italy: Wine, food and lots of activities await in the Sicily region, where the weather is more enjoyable than the rest of the country. Greece: Some Greek Islands are a good choice for your family Holiday travel, but stay within the Cyclades Islands (Santorini, Mykonos, Naxos, etc.) as it can be quite rainy in the Dodecanese Islands. Caribbean Islands: You have a lot of great diving and snorkeling destinations in the Caribbean Islands. See my Quick and Easy Guide to the Best Caribbean Islands to find out which islands offers the best animal encounters! 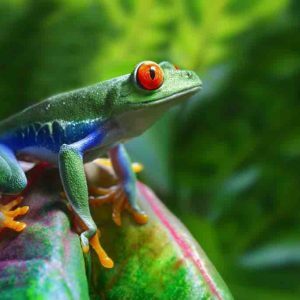 Costa Rica: Costa Rica has an iconic wildlife, from the red-eyed tree frogs to sloths, leatherback sea turtles and scarlet macaws. 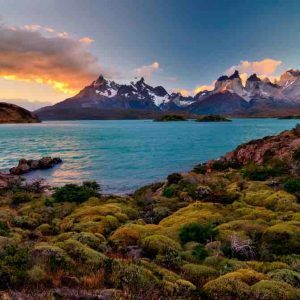 Argentina: Argentina is home to a very diverse and unique wildlife network, with many of the animals being found nowhere else on the planet, like the pink fairy armadillo and the Patagonian opossum. Ecuador: Of course the Galapagos Islands are the #1 destination when it comes to wildlife! Giant turtles, seawolves and exotic birds are discovered in this natural paradise, and will enchant everyone. 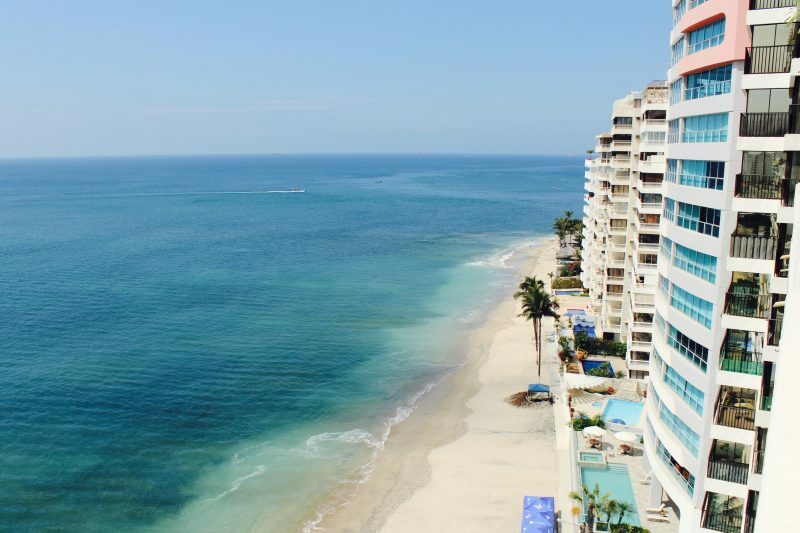 Mexico: A road trip down the Caribbean Coast, from Cancun, is safe and fun to everyone. You will find here breathtaking beaches, magnificent ruins, good food and great adventures. Argentina: Ruta 40, in Argentina, is the most famous road in South America. What does it mean? Some 3,000 miles separate La Quiaca in the north and Rio Gallegos in the south, and in-between, exquisite vistas, glamorous wineries and charming animal encounters. Chile: The sole road heading south, Carretera Austral, in Chile, is more than 600 miles of gravel road winding throughthe scenery of rainforests, glaciers, volcanoes, fjords, and rivers. Morocco: The Atlas Mountains are stunning, the Sahara Desert is breathtaking and the Moroccan culture is fascinating. A lot of itineraries are possible, and all are a blissful escape from our North American winter weather. Tunisia: From the sea to the Sahara Desert, a road trip in Tunisia will take you through extraordinary landscapes – stony desert, rugged mountains and sand dunes. Portugal: The Algarve region is stunning, as is the Porto region with its wines and, well, portos, and in-between, museums, churches, trekking and fresh food. And according to some people, driving along the southwest coast of Portugal is the best road trip to take on your holidays! Spain: A road trip in Andalusia (on the Mediterranean Coast) will take you through stunning White Villages, finder-licking tapas, the Alhambra Castle, nice wines, gorgeous beaches and awesome Sierra Morena mountain range. France: The French Riviera, or Côte d’Azur, will bring you through the sunny promenade in Nice, dazzling villas and yachts in Cannes, extravagance in Monte Carlo, art and culture in Antibes, stunning drives along the coast, and isolated villages in the French Alps. 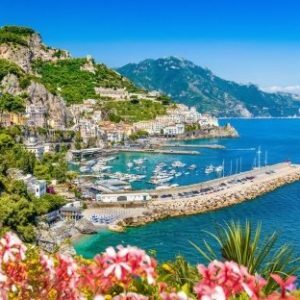 Italy: The Amalfi Coast is famous and spectacular: winding roads, stunning vistas and delicious food and drinks, among other things! Greece: Whether you want to visit the mainland or an island, a road trip will always be wonderful in Greece! Inspiring ruins, splendid beaches, clear turquoise water, exquisite fresh food and divine vistas. My road trips in Greece are some of the best travel experiences I ever had! As you can see, this quick and easy guide can turn your family Holiday travel and next summer vacation into a stunning success. So tell me, what keeps you from traveling during the Holidays with your family? And if you are already discovering the world together, where will you go this year? I want to visit these clubs and want to get some amazing time in my life. Thanks for sharing this post.